There are nearly two-million apps available on the Mac App Store, with hundreds of new apps added every day. And while having an almost limitless number of apps to choose from sounds like a great thing, it can make choosing your next app a truly daunting experience. The Award-Winning Black Friday Mac Bundle Ft. Acorn 6 is here to make life easier by bundling together ten of the best apps having to do with everything from photography and security to productivity and file-storage, and the entire bundle is currently available for over 95% off at just $20 with code BFMAC5 at checkout..
With this bundle, you won’t have to worry about investing in a subpar app, since each of these ten programs is a best-seller in its field. Leading the pack is Acorn 6—an incredibly powerful photo editing tool that makes it easier than ever to create professional-grade edits of your pictures in minutes. It comes loaded with a variety of rich features from level adjustments to filters, and you’ll be able to quickly and easily place text in your images in order to create logos and unique designs. With 4.5/5 stars on the Mac App Store, this streamlined program puts Photoshop to shame at a fraction of the price. 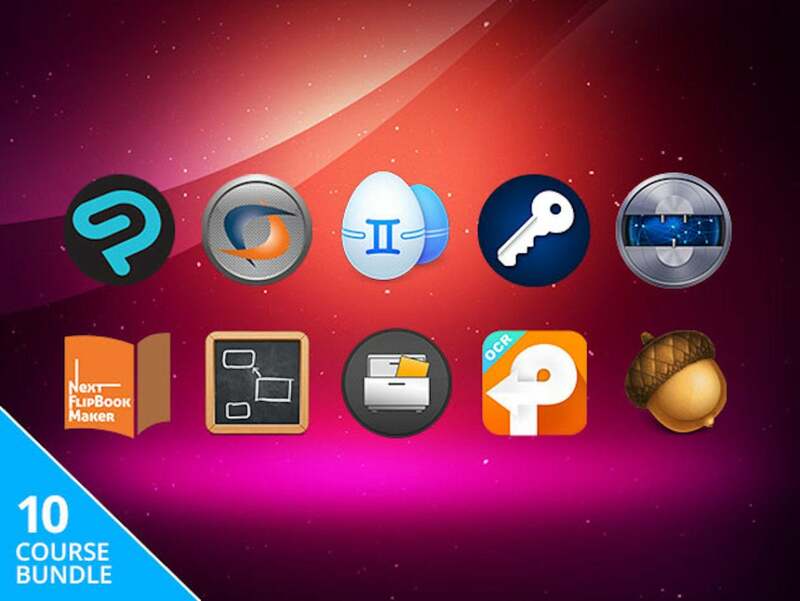 This bundle also comes with CrossOver 18, a revolutionary app that lets you seamlessly run Windows software on your Mac without having to buy a Windows license; Gemini2, which lets you intelligently find and eliminate duplicate files in order to free up space on your hard drive; Scapple, which helps you harness your creativity in order to come up with new ideas on the go; NetShade VPN, which offers unparalleled security for browsing the web; and more. This bundle also features a wide range of file management and utility tools—including Spotless (which keeps your desktop perfectly organized according to your individual preferences), Next FlipBook Maker Pro, mSecure Pro, PDF Converter OCR 6, and much more. Grab ten of the most powerful and highly-rated apps on the Mac App Store with the Award-Winning Black Friday Mac Bundle Ft. Acorn 6 for just $20 with code BFMAC5 at checkout —over 95% off its usual price for a limited time.